Practical guidance for Aotearoa teachers and educational leaders. Check out our 26 guides. Helping you recognise, plan for, and meet the learning and wellbeing needs of diverse learners. Why an inclusive learning community? Children and young people learn best when they feel accepted, when they enjoy positive relationships with their fellow learners and teachers, and when they are able to be active, visible members of the learning community. 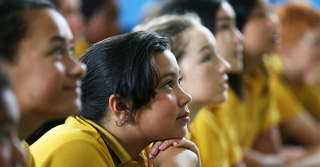 Enacting Te Tiriti o Waitangi principles, inclusive learning communities do the right thing by learners and communities (tika), with integrity (pono) and with care and sincerity (aroha). builds collective curiosity, intelligence, inquiry and critical thinking to engage all learners in meaningful learning. Guides are kete (collections) of evidence-based inclusive strategies to support Year 1-13 teachers and school leaders.